Dion Donohue has been recalled for Pompey's trip to Rochdale. Dion Donohue has earned an instant recall to Pompey's side at Rochdale. The left-back missed the impressive Bank Holiday Monday victory over Wigan to attend the birth of his son, Mason. However, he is now back available - and replaces Brandon Haunstrup in the Blues' side at Spotland. Donohue represents the only change to the team which beat the Latics 2-1 to maintain play-off interest. Elsewhere, Kenny Jackett elected not to name Conor Chaplin in his match-day 18. Instead Haunstrup took the striker's place on the substitutes' bench. 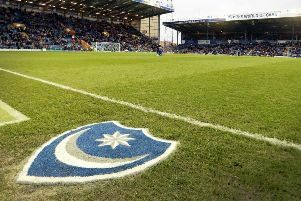 Pompey: McGee, Thompson, Whatmough, Clarke, Donohue, Walkes, Lowe, Evans, Close, Naismith, Pitman. Subs Not Used: Bass, Burgess, O'Keefe, Hawkins, Kennedy, Ronan, Haunstrup.